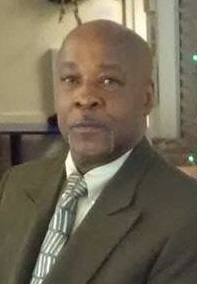 Willie Hosten, 62, of Sparrow Drive, departed this life on Friday, March 22, 2019. Born in Springfield, he was a son of Isabelle (Brantley) Hosten and the late Reed Hosten, and the widower of Shaina Hosten. Willie was a lifelong resident of Springfield and worked as a carpenter. He was a member of Shiloh Seventh Day Adventist Church. He is survived by his mother; two daughters, Misty Williams of Springfield and Angela Latrice of Atlanta, GA; a son-in-law Brent Whitley; three brothers, Reed Hosten, Bernard Hosten, and Tyrone McClain; a sister, Claudette Powell (and husband, Delroy); 4 grandchildren; and a great-grandchild. The calling hour is 11 a.m. to noon Thursday at Shiloh Seventh Day Adventist Church, 797 State St., followed by the funeral at noon with burial in Oak Grove Cemetery.